Dave Keilitz started school at Central Michigan University as a student-athlete in the fall of 1960. He became Central’s first, 1st Team All-American baseball player in 1964. He established 19 game, season, and career hitting records for the Chippewas. He served as a graduate assistant in 1964-65 and was then appointed the freshman baseball coach the following year. In June of 1970, he was appointed head coach at Central.In his twenty years of coaching, Keilitz never had a losing season, and in his 14 years as head coach, he had a 456-203 record. His .692 win-loss percentage was the best of all Division I coaches in the NCAA Midwest region during the period he coached and ranks in the top 30 of all coaches nationally. He was named MAC “Coach of the Year” several times, winning several MAC titles, and had seven of his teams in the NCAA Championship tournament. Keilitz coached eight All-Americans, and 51 of his players signed professional contracts; seven of which played in the major leagues.In 1981, Keilitz led the fundraising effort to raise money for a new baseball stadium. He did so again in 2001-2002 to help build the present stadium, which is one of the finest college baseball facilities in the country. After the 1984 season, when Central won the MAC and finished second in the NCAA Regionals, and rated 16th in the country, Keilitz was appointed Director of Athletics at his alma mater.As Athletic Director, Keilitz upgraded all CMU athletic facilities and raised a considerable amount of money for the athletic program. During his tenure, every Central head coach was named “MAC Coach of the Year” at least one time.As Athletic Director, Keilitz also served on the NCAA Council and served on numerous NCAA committees. He chaired the NCAA Baseball Committee, the Committee to “Fine Tune” legislation from the 1991 NCAA “Reform” convention and the NCAA Federation of Rules by Sport Committee. 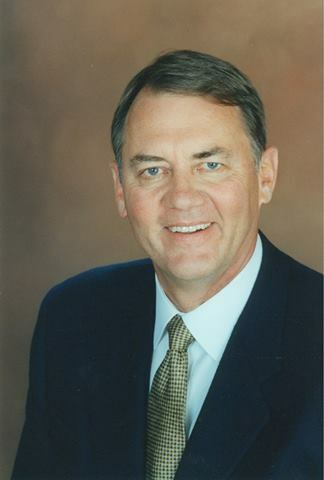 In June of 1994, Keilitz became the Executive Director of the American Baseball Coaches Association, which consists of over 6,700 coaches from around the world. Baseball America magazine rates Keilitz as one of the ten most influential people in baseball outside of the major leagues.Keilitz has been inducted into the ABCA Hall of Fame, the Midland County Sports Hall of Fame, the Central Michigan University Hall of Fame, the NAIA Hall of Fame and the Mid-American Conference Hall of Fame. In 2002, he received the prestigious “Lefty Gomez Award,” which is the highest award in amateur baseball. In April of 2002, the clubhouse at the new CMU baseball stadium was named after Keilitz and his wife, Sue. Keilitz was selected as the 2002 CMU Homecoming Grand Marshal. In December of 2005, Keilitz was CMU’s commencement speaker and was honored by his alma mater with the honorary degree, Doctor of Public Service. In 2007, Dave and Sue Keilitz chaired the “major gift division” for a new cancer center at the Central Michigan Community Hospital; a campaign that raised over seven million dollars. Keilitz presently serves as Chair of the McLaren Central Michigan Hospital Foundation, as well as their Board of Directors, and also serves on the CMU Development Board and the Mt. Pleasant Area Community Foundation Board of Directors. Keilitz is married to the former Susan Prine and they have two sons, Craig and Brad. Craig is the Director of Athletics at High Point University and Brad is Manager of Customer Development for Nestle Water, North American Corporation. They also have 4 granddaughters and one grandson.